CUSTOMIZED COVERS - Create a personalized cover for your play! Upload your perfect image and customize with your own tag line! SOCIAL MEDIA APP - To better promote your works, we provide links to the hottest social media apps. SCRIPT PREVIEW - Provide a sample preview of your script for customers to read for free. The Script Preview contains the first half of the full script. AUTHOR PAGE - Have your own personalized Author Page. You are able to upload your picture, biography, website links and more! Information can be updated at any time. This information can be viewed by all customers on our website. In addition, we will automatically list all of your plays that are self-published with us! PERFORMANCE HISTORY - Keep track of all of your Work's performance history! Every time a production sale is made, we provide records of the organization, location, and performance date. These records are available on My Account. EARNINGS AND PAYMENTS HISTORY - Let us do your bookkeeping! We will keep track of all sales, earnings, and payments made to you. Your history will be archived in My Account for you to view at any time. AUTHOR COMMENTS - Add Author Comments and notes about your play. This info will be displayed online in addition to your synopsis. 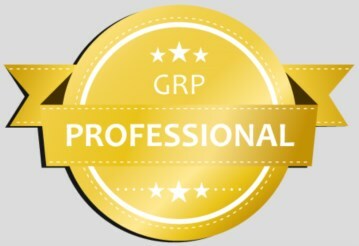 REVIEW REWARDS PROGRAM - Customers who purchase your work have the option to rate and review. When a customer Rate and Reviews your work they receive in-store credit to be used with their next order. This incentive better promotes your customer fan base. This is an annual program that will be active for one year. After one year, your PayPal account will be charged to renew the package. This option can be cancelled at any time under Support Options on My Account. THANK YOU PROGRAM - We send a personalized email to the customer every time your work is purchased. This email showcases your other self-published works, your biography, and more! This is an annual program will be active for one year. After one year, your PayPal account will be charged to renew the package. This option can be cancelled at any time under Support Options on My Account. FREE ESCRIPT PROGRAM - You have the option to help promote your work by offering your title as a Free eScript Perusal for one month during the year. The Free eScript Program is proven to provide a greater success rate for productions. This annual program will be active for one year. After one year, your PayPal account will be charged to renew the package. This option can be cancelled at any time under Support Options on My Account. COPYRIGHT NOTICE - We have scoured the market for an industry leading copyright notice. Our Copyright Notice will better protect your work from infringement. PLAY PHOTOS - Upload photos of your play to be displayed online. Play Photos help spark potential customer interest. Include photos taken of your cast during the production of your play. CUSTOMIZED FORMATTING - Our professional editorial staff offers high-quality formatting services for works of all lengths. You will choose from a variety of professional design templates, we will do the rest! SECURITY NOTICE - This notice will appear in your script and depict the purchasers name or organization as well as their purchased performance dates. This will help ensure that the play is only produced and performed for what has been paid for! AUTHOR BIOGRAPHY INSERT - Personalize your script! Your Author Biography will be inserted into your work each time it is purchased. The insert is created from the biography and picture listed on your Author Page. Visit Author Info in My Account to update all information. To sign up for Author Direct, please visit our full website with a laptop or tablet.